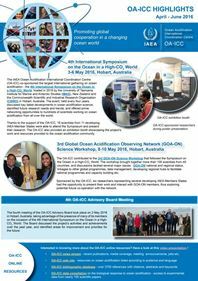 In June this year, the Pacific islands are amplifying their voice at the United Nations Ocean Conference at the UN Headquarters in New York, focusing on Sustainable Development Goal 14 – Life Below Water. This Pacific Conversation discusses ocean acidification and its impacts on Pacific species, providing you with more information to help make a difference in our region. Did you know that a lower pH, the potential of hydrogen, makes the ocean a louder place? By 2050, under conservative projections of ocean acidification, sounds could travel as much as 70% farther in some ocean areas. This means ocean acidification affects whales and other animals, not just coral reefs and shellfish. The ocean absorbs about 25% of the CO2 that we emit. If we had to pay for it, the value of this ‘ocean service’ to the global economy is USD 60 to 400 billion annually (EPOCA). By taking up our extra CO2, the ocean has acidified by 30% since the start of the Industrial Revolution. The current rate of decrease is 0.02 units per decade, faster than any rate in the past 300 million years. Projections show that by 2060, seawater acidity could have increased by 120%. Ocean acidification affects some species directly, and combines with other stressors. Nutrient pollution also makes nearby acidification worse. We are not powerless in the face of ocean acidification. We can reduce our carbon footprints. We can help our environments and species cope by protecting them and restoring carbon-fixing ecosystems like forests and wetlands. We can reduce other local stressors such as destructive fishing and reducing land-based sources of pollution. Wetlands are our carbon allies, taking up CO2 and storing it in their biomass and soils. But every year, coastal wetland destruction releases 0.15 to 1.02 billion tonnes of CO2 (the same as burning 423 billion litres of petrol, more than the entire commercial airline industry uses in a year!). When we make the right choices to support our ecosystems, we create positive growth for our ocean, our health, and our industries. When you buy local goods, protect wetlands, and prevent pollution, you are saving the ocean—and saving us too. 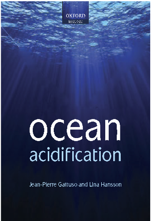 Want to know more about ocean acidification in the Pacific? Click here. Take time for two pages for the ocean: check out UNEP and SPREP Factsheets here. SPREP, 24 May 2017. Article.